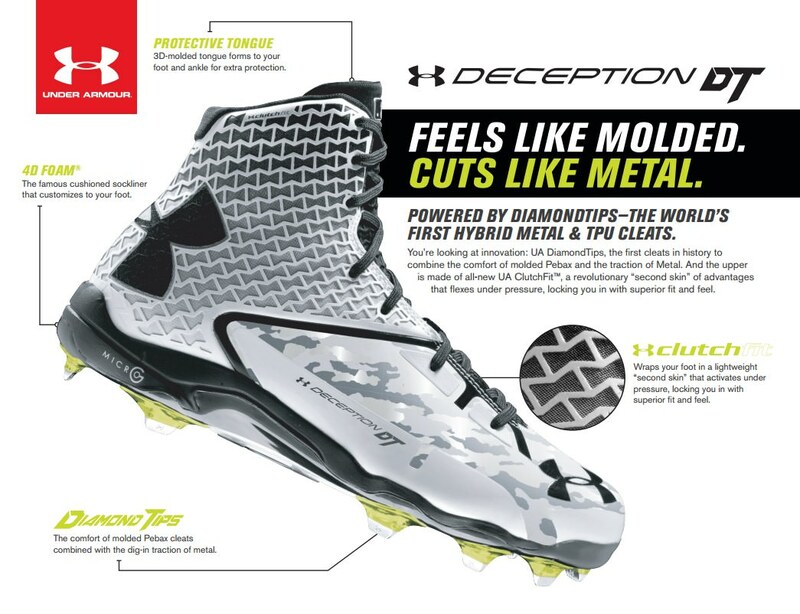 Under Armour has revealed a half molded/half metal cleat just as we predicted, but its a little different than Bryce Harper‘s revolutionary cleats. 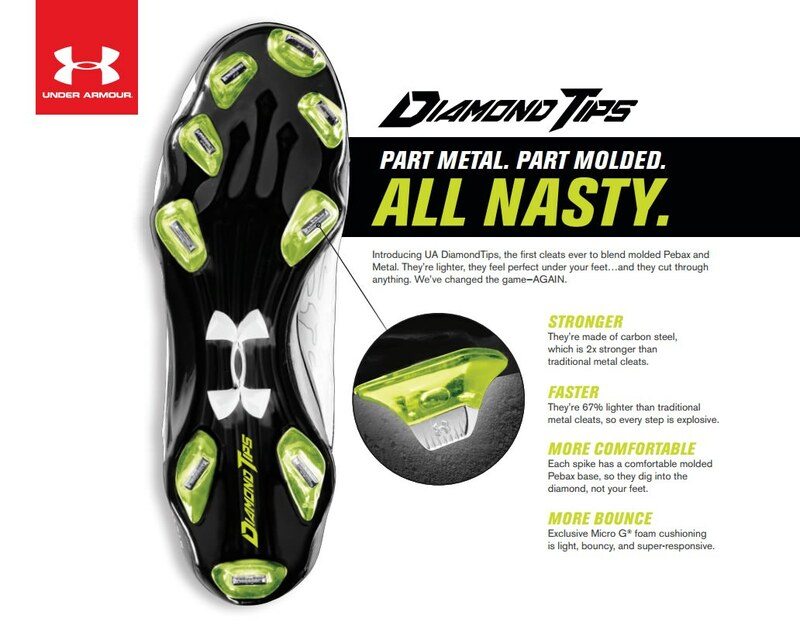 These cleats have carbon steel tips (“DiamondTips”) on a plastic base, which UA claims will give the comfort of plastic with the traction of metal, and at the same time make it a lighter cleat than metal. Its hard to know how they’ll feel without trying them on, but they do look purdy. 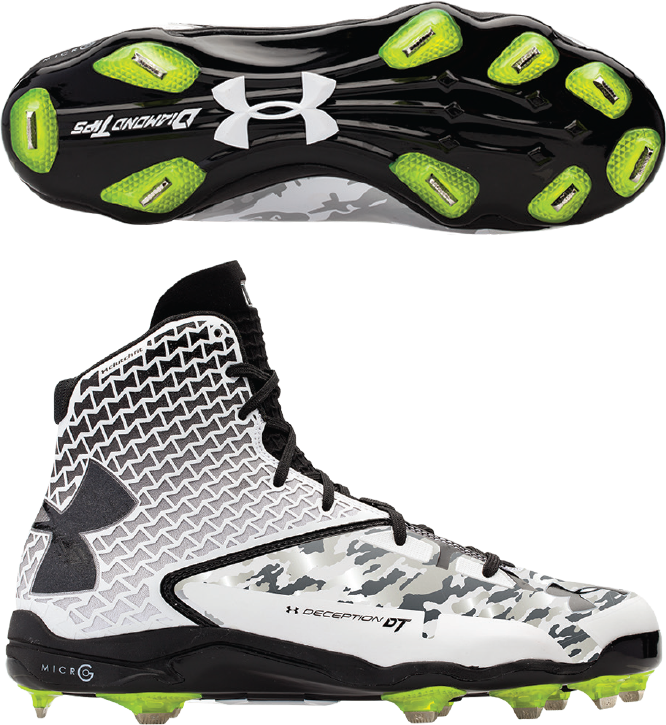 Notice the camo and volt green which is industry standard at this point (and I only say that half sarcastically). Where can I preorder these? Do you know where I’ll be able to find these to purchase? 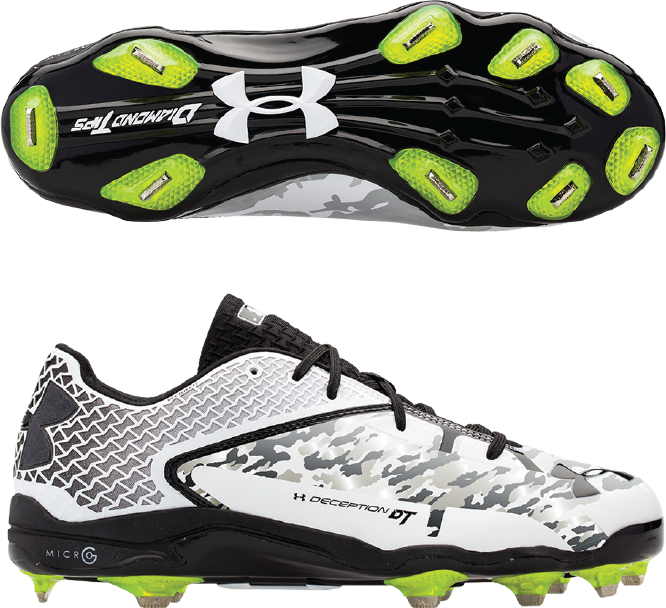 I really wanna get my hands on a pair of those. Can u get in just molded for youth??? No. 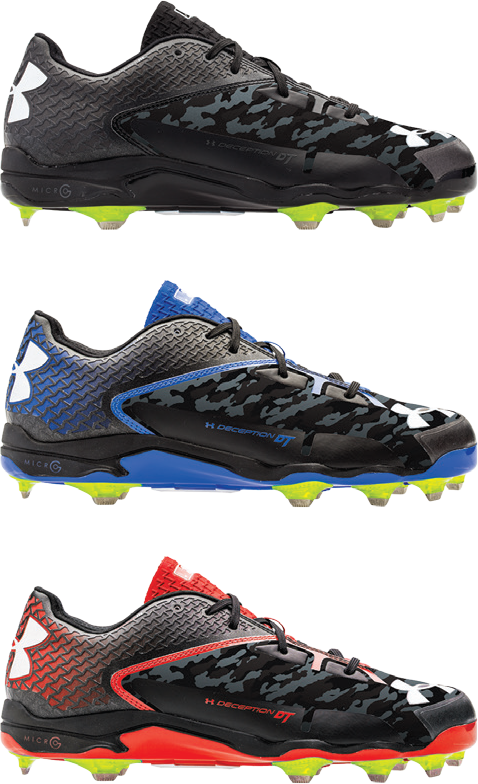 The purpose in making these cleats was to introduce hybrid cleats, so they’re not being manufactured in all molded or all metal. Thanks! I ordered mine yesterday!